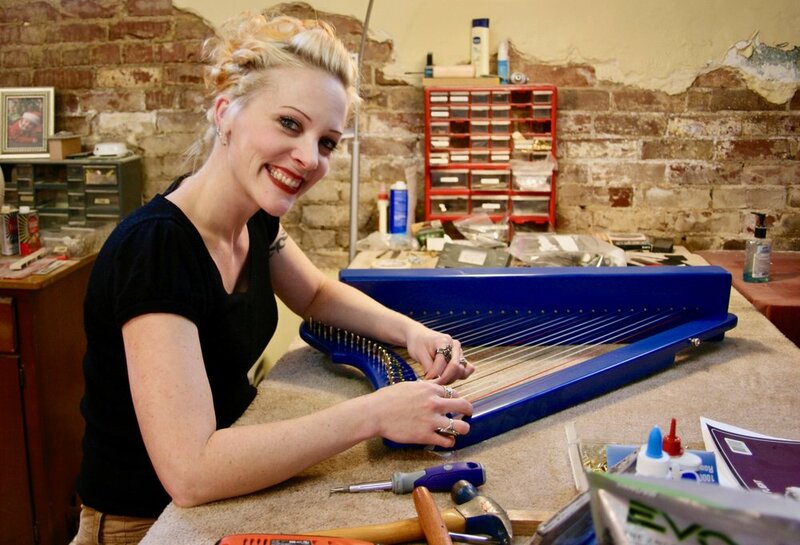 Finding a Lever Harp Repair Person — Rees Harps Inc.
How to find the right person to repair your lever harp. Rebecca Brown adding sharping levers to a Fullsicle Harp. There's this strange phenomenon when it comes to finding someone to repair a harp who does not normally work on harps. The people most qualified to do the work are often too cautious to do it and the people who have no idea what they are doing are more than willing to take it on. This is for a simple reason. Highly skilled repair luthiers, usually violin and the very high-end acoustic guitar repair people, understand that pedal harps are a nightmare to work on and that concert lever harps are under enormous string tension and are very expensive. They are afraid that since they are not harp experts they may make an error which ends up damaging the instrument and that they will be responsible for the replacement.